St. Joseph’s Academy is situated in North East Derbyshire, on the border with North Nottinghamshire. Our school serves the parishes of St. Joseph’s Shirebrook, St. Teresa’s Warsop and St. Bernadette’s Bolsover. 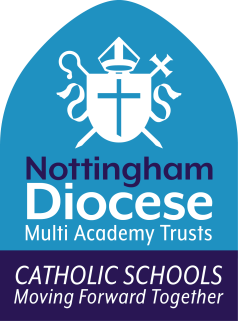 We are very proud of our academic achievements and to be judged as outstanding in our Ofsted Inspection, as well as by the Diocese on our Canonical Inspection. We are equally proud of the way in which we guide and support our children in their spiritual journey. At St. Joseph’s, Religious Education and liturgy are at the dynamic heart of the school. This reinforces the Catholic ethos and its importance is obvious to the whole community. We ensure as many people as possible are involved in liturgies so that worshipping God is a truly communal activity. All aspects of our teaching are surrounded by the examples of the Gospels and the teaching of Jesus Christ. The Curriculum at St. Joseph’s is designed to offer exciting, stimulating and challenging opportunities for our pupils. We strive to provide a wide range of learning opportunities which excite our children and encourage them to become lifelong learners. As and outstanding school, we regularly provide support to other schools across Derbyshire and North Nottinghamshire through our role as a National Support School.